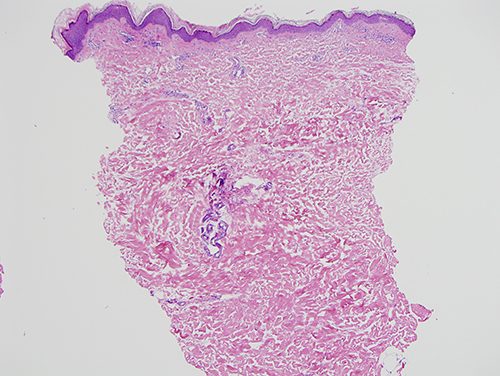 The patient has a known history of systemic lupus erythematosus and now presents with a plaque-like eruption involving the arm with malar erythema. 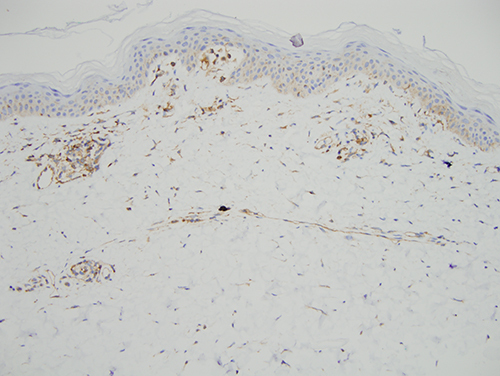 The biopsy, in fact, does show a histopathology that would be considered quite characteristic for systemic lupus erythematosus given the fact that it is a cell poor interface dermatitis accompanied by epidermal thinning with a superficially confined modest angiocentric infiltrate. 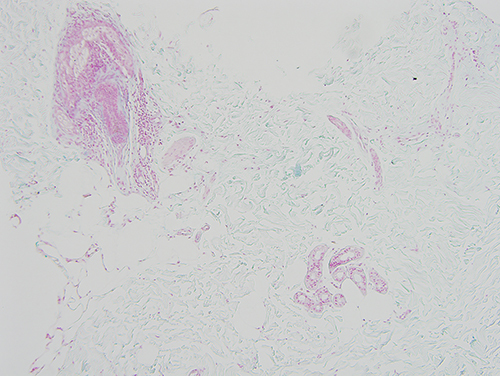 Oftentimes, with systemic lupus erythematosus, there is a disparity between the relatively pauci-inflammatory nature of the skin biopsy and the degree of systemic symptomatology. 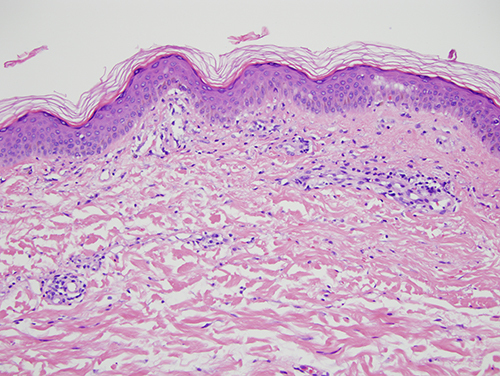 Hence, when one examines the erythematous skin rash in a patient who is acutely ill with systemic lupus erythematosus, this pattern of cell-poor interface is actually not uncommon and is in contradistinction to the robust pattern of lymphocytic infiltration seen in discoid lupus erythematosus.